Damsel in Defense is a direct sales business that offers a line of personal protection products to help women protect themselves and their children should the need ever arise. Their goal is to produce and provide a product line that is made for women to carry to be equipped, empowered and educated. The statistics of attacks on women and children are harrowing – and sadly only getting worse. Damsel in Defense offers products to help you protect yourself and your loved ones as well as your personal property. Damsel in Defense is all about not only keeping women safe but also giving them the confidence to know they have the means to protect and get out of any situation they feel threatened with. 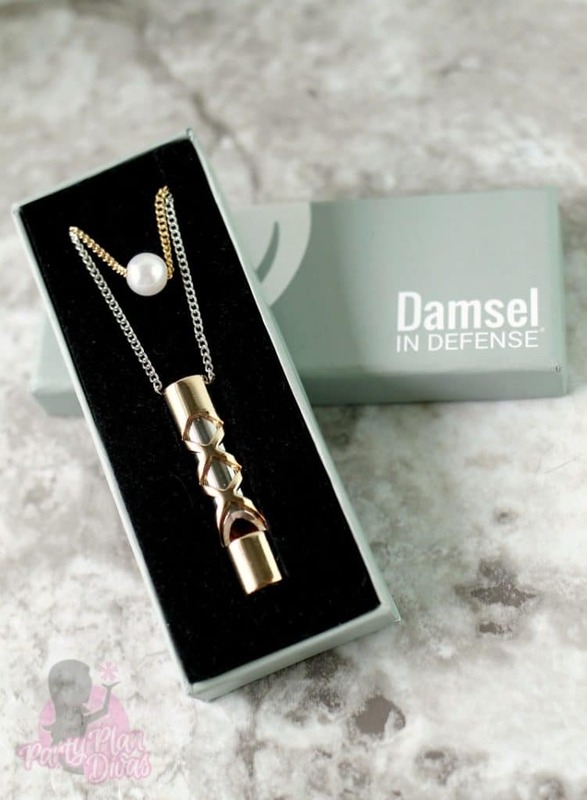 I have long been a fan of Damsel in Defense, and I own a good number of products from their extensive product line – including tasers and stun guns, pepper spray, striking tools, conceal carry handbags, and my most favorite pieces – personal protection jewelry. Last year when Independent Damsel in Defense Pro Deb Bartlett sent in the Leaf Me Alone Whistle Necklace I fell totally in love. 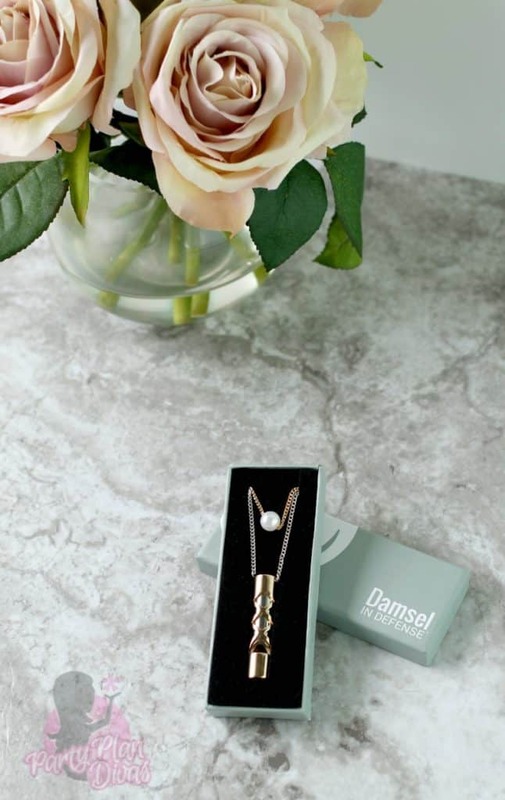 For this year’s gift guide, she sent in the newest addition to the Damsel in Defense Hermergency Jewelry line – the Pearl of Wisdom. I am not sure which one I love more. The Pearl Of Wisdom Whistle Necklace is a beautiful two-tone whistle pendant with a delicate little pearl that hangs just above it. When worn – you would never think that this beautiful necklace actually packs an ear piercing whistle of 130 decibels. You can shop directly from Independent Damsel in Defense Pro Deb Bartlett’s website or host a Power Hour to earn free and discounted products by sharing these self defense tools with the women in your life. If you are passionate about helping women stay safe, consider joining Deb’s team and build a business equipping and empowering women to protect all the things the love most. Check out Deb’s website to see everything Damsel in Defense has to offer. I am excited to offer one of my readers your very own Pearl of Wisdom necklace from Independent Damsel in Defense Pro Deb Bartlett. You can enter using the RaffleCopter widget below. Good luck!